Photo-Manip DE have a baby. 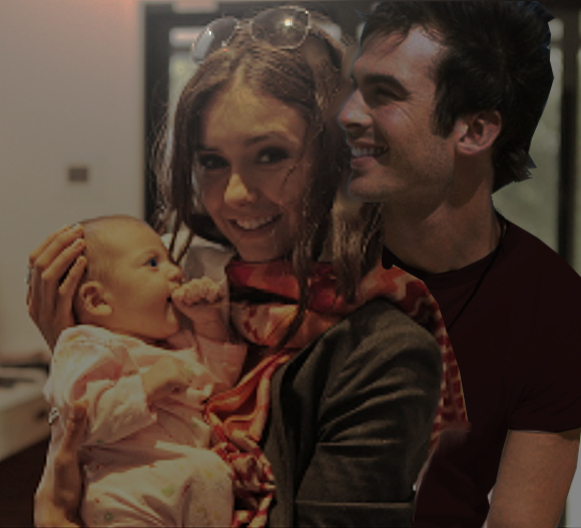 चित्र Manip for @damon_girl on twitter she made a fanfic where Damon and Elena have a baby named Delena. Wallpaper and background images in the Damon & Elena club tagged: the vampire diaries elena damon delena damon salvatore. This Damon & Elena fan art might contain neonate, newborn, newborn infant, newborn baby, चित्र, headshot, closeup, हेडशॉट, and क्लोज़अप. Have you imagined how their baby is going to look like? well idk but i imagine she would have Elena beautiful Skin complexion and Damon Eyes with Long Jet Black hair. The most beautiful Child humans have ever lain eyes on.